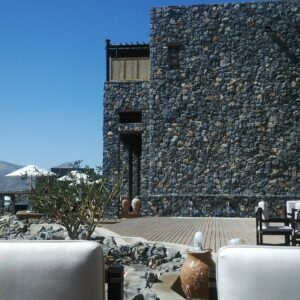 Would I return to stay at Alila Jabal Akhdar? No and there is good reason for that even though it has been well featured in a wide variety of veteran travel magazines and included on many a list for best new hotels of 2015. 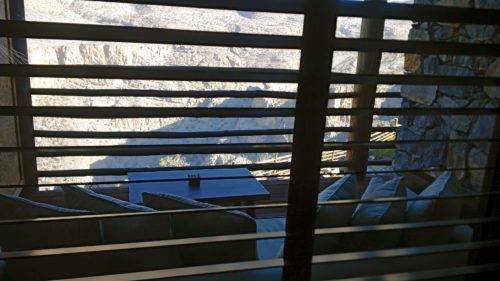 As an unbiased travel blogger, I felt inclined to write an honest review of my recent stay there in February. 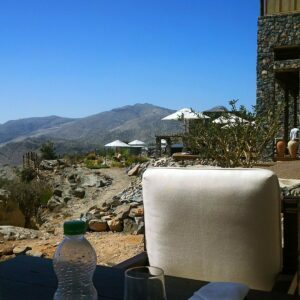 Whilst Alila Jabal Akhdar has accomplished a fantastic feat by developing an eco friendly resort in the rocky terrain of the unspoiled Al Hajar mountain range in Oman, there is room for much improvement in several areas including service, food and beverage, amenities and overall guest experience. Let’s start with the location. 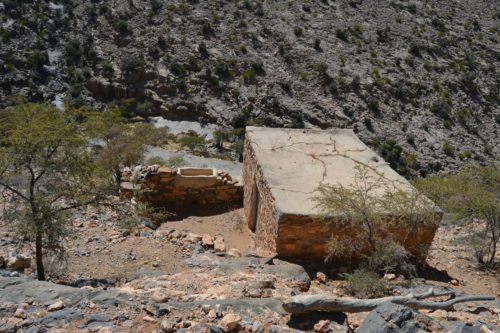 It’s situated inland in the Nizwa area and farther than the more touristy coastal spots. It’s what prompted us to visit for Valentine’s weekend. There are two options from Dubai: Fly into Muscat and drive 2-3 hours to the resort or drive the full way taking about 6-7 hours. I was fully aware via the website and an email from reservations that a 4×4 is required to complete the last 30-40 kilometers of the drive as the roads are quite steep. 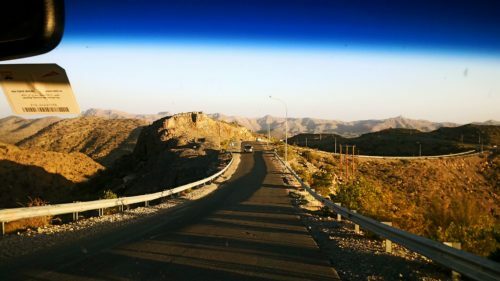 We searched and searched online for car rentals in Nizwa but could not find any and wound up renting one from Dubai as driving to Muscat first to rent the 4×4 would waste time on the road. 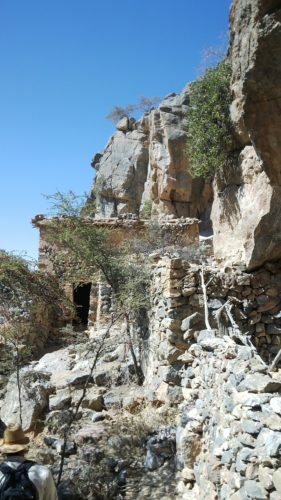 As we approached the checkpoint (a check to ensure you had a 4×4 to continue to Jabal Akhdar), we saw tons of rental places… maybe not mainstream ones like Hertz or Avis but still. It would have saved us 2000 dirhams. Again, the hotel should mention there are rental places close by. The directions from the website were not good, you WILL get lost. Why someone can’t take 30 minutes to update this properly is beyond me. A hotel should have happily arriving guests and first impressions are everything…. especially if their stay is only for the weekend. Upon arrival I asked if the hotel provided pickup from the checkpoint? Yes we do was the response but for a fee. 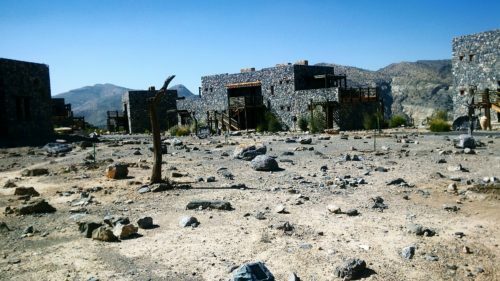 Why wasn’t that written anywhere on the Alila Jabal Akhdar website or told upon reserving? The site states transportation from Muscat is 150 OMR and when I mentioned in my email to the hotel that I didn’t have a 4×4, only a sedan and needed to rent one…there was no common sense to say that they provide transportation from the checkpoint or that there are rental places nearby. 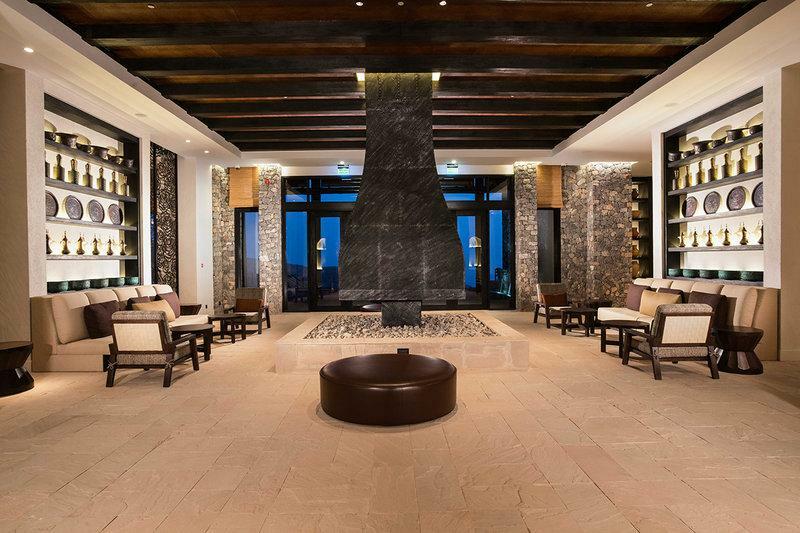 For a hotel of this caliber and the room rates charged, the service should be complimentary like it was at Six Senses Zighy Bay, a 5 star hotel located on the Musandam peninsula in Oman. Our arrival was well past sunset due to getting lost and unfortunately we missed seeing the splendor of the grounds in light. Check in was smooth and we were escorted by jeep to our suite by a young Omani. Our luggage consisted of laptop bags and small overnight suitcases. He grabbed everything at once, threw all of it on his shoulders and came into the room smashing the laptop bags on the walls via the narrow corridor to the closet. It became evident as the weekend passed that many of the employees from every nationality required extensive hospitality training and this might be their first post at a 5 star hotel. On Valentine’s morning, housekeeping knocked on the door and then opened it at 8:45am despite the Do Not Disturb sign. Wow. Upon checkout when we requested our vehicle, the same youngen who handled our luggage pointed at the parking lot. “Its over there.” Ummm, what? You’re supposed to drive it up to the valet. Service levels were pretty bad. 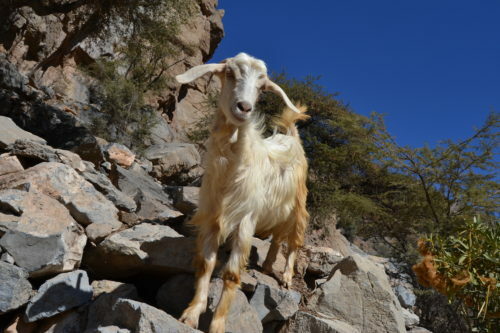 However I will note that Tariq, the duty manager, was very pleasant and accommodating along with Salim, the mountain guide, very friendly and full of great information about the area and local fauna. 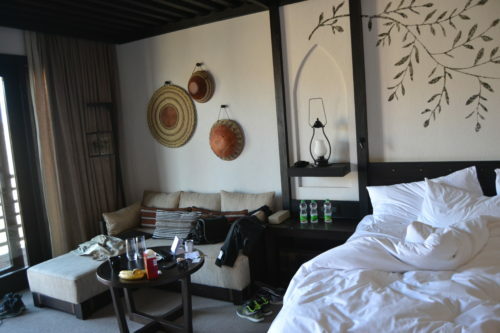 Our room, the Ridge View Suite was quite nice, rustic luxury and fitted with local Omani furnishings and decor. 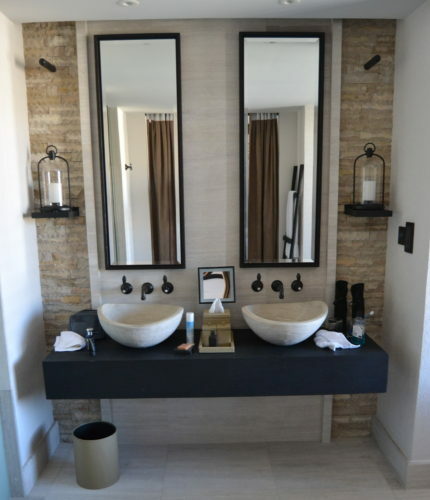 The bathrooms were gorgeous with natural elements and earth tones including a stone tub facing the window overlooking the cliffs. However, little details were missing like candles and liquid soap near the tub. Some of the negatives were diminished when we woke the next morning to a dramatic view of the gorge. It was pretty stunning and the pictures don’t do it justice. Moving on. There is not much choice in Food & Beverage and no alcohol license yet. Apparently its “in process” and has been for some time. It’s not that big of a deal, many bring their own but technically its not allowed. There are 2 restaurant outlets, not much choice on either menu. The one place that is open for dinner is very expensive as an only choice and never had much available on the menu, never. Its understandable that a hotel of this quality will have a fine dining/more expensive outlet but when its the only one and you have to eat there every night, it gets on your nerves. The hotel is not close to anything so difficult to venture out and try something else. In addition, the room service menu is literally pizza and burgers. When paying room rates like this… you should have more than pizza and burgers. The Omani lamb burger was great and lamb kafta for dinner in the restaurant also good. Breads were wonderful. These are my three positive comments. My partner commented that breakfast was nothing special and had some stations where you really had to wait for cooked food. Last but not least, there were little kids running around everywhere. And causing ruckus in the pool and in the restaurants during lunch. The pool area and view are incredible. The grounds are tranquil lending itself to what is supposed to be a very peaceful getaway. Very few of the parents did anything to calm their screaming children (note: they were not newborns) and the staff didn’t say a word to the parents. I know this is a sensitive point but the hotel needs to have a No Children under 12 years of age policy. 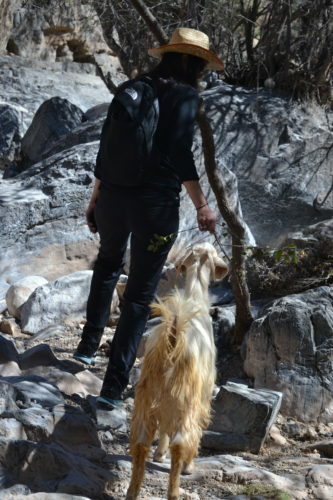 The highlight of our trip was our morning trek with Salim. We opted for the Mirage in the Mountains walk, a three to four hour excursion with beautiful scenery. Salim supplied us with water, sunscreen and hats to protect our heads from the sun. He really took his time to educate us with history and interesting facts. 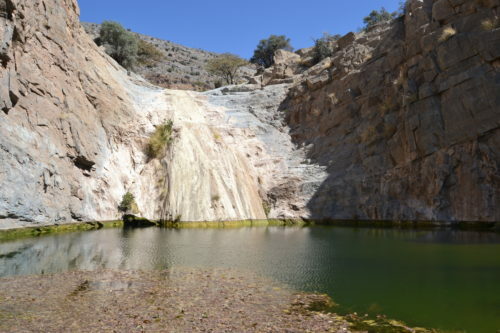 We wished we had more time to do some of the other excursions. 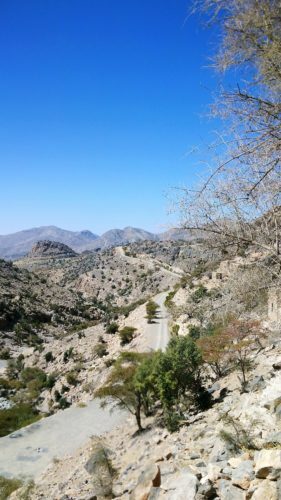 Alila Jabal Akhdar had a well sized list of guided and unguided activities in the surrounding area to choose from, whether off roading, trekking or exploring local villages. 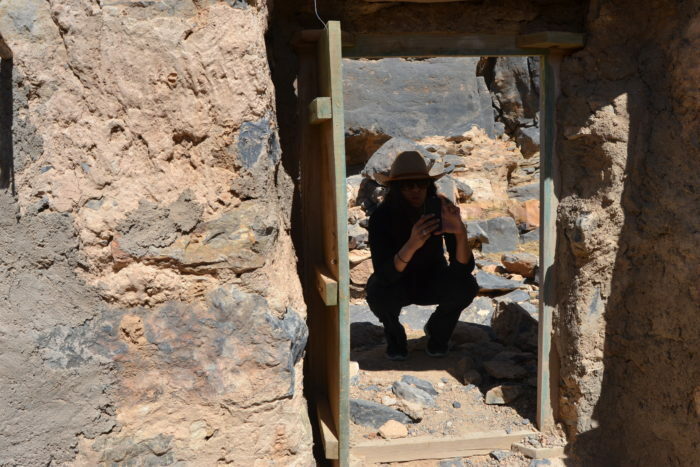 After checkout, we headed to the city centre in Nizwa and visited the fort and other sites. Overall, we enjoyed our trip but more due to the location and not the resort itself. Would I return? 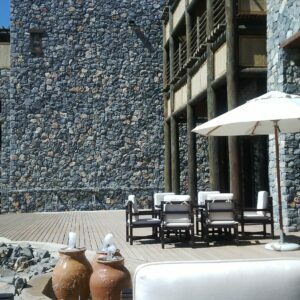 No, not to Alila Jabal Akhdar. The price point is too high for the level of service and amenities provided. 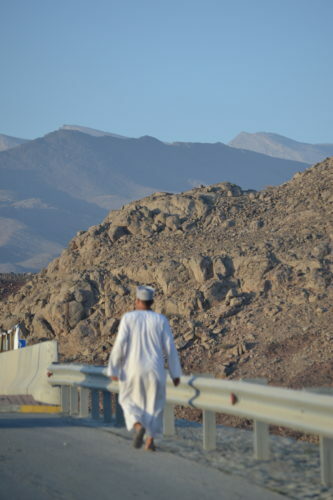 For more information on where to go in Oman, click here. This stay was not sponsored.